“Jessica Anderson (hondrelonulles@hotmail.com)” sent me the same e-mail yesterday. So glad I found this blog! Thanks for taking the time to look at my property. My name is Jessica Anderson, I’m 43 years old, I’m a construction engineer and I’m the owner of this condo (2 bedrooms,2 bathrooms,1,067 square footage). I lived in this beautiful condo for over 5 years, loved every day of it. It’s located in 250 Ohua Ave Honolulu HI 96815. The unit is equipped with recessed lighting, central air and heat, the condo come with two parking spots,a storage unit where you can deposit my furniture (if you don’t like it and you want use your furniture),there is also a linen closet, and most importantly, a new front loading stacked washer and drier. Pets allowed.I’ve moved to United Kingdom with my job (i am a construction engineer) and decided to rent it because the rent is very expensive here. The price is so low because I’m here and is very hard to find a tenant. I can rent you the condo for min. 1 month and max. 6 years(or more).I really want to find a good and responsible tenant for it, and I hope that you can send me some personal information about yourself.The rent for whole the condo for 1 month is $1000 including all utilities(water,electricity, internet, cable, parking, airconditioning, fireplace, dishwasher, garbage) and the security deposit is 1000$ (you’ll get the deposit back at your departure-or you can use it to pay your last month of rent) and I want to receive the money monthly in my bank account. You can move in the condo in the same day when you receive the keys. The only problem is that I`m the only person who has the keys and I have nobody in United States that could show you the condo. In order to check it, see if you like it (I’m sure that you’ll love it), you need to receive the keys and the contract. Came across this on craigslist and there were several with the same info. She is now Jessica Anderson, 43, email address of pidelphailreda@hotmail.com ………….. Thank you so much for this post!!!!!!!! Thanks for taking the time to look at my property. My name is Jessica Anderson, I’m 43 years old, I’m a construction engineer and I’m the owner of this condo (2 bedrooms,2 bathrooms,1200 square footage). I lived in this beautiful condo for over 5 years, loved every day of it. It’s located in 2200 Arch #512, Philadelphia PA 19103. The unit is equipped with recessed lighting, central air and heat, the condo come with two parking spots,a storage unit where you can deposit my furniture (if you don’t like it and you want use your furniture),there is also a linen closet, and most importantly, a new front loading stacked washer and drier. Pets allowed.I’ve moved to United Kingdom with my job (i am a construction engineer) and decided to rent it because the rent is very expensive here. The price is so low because I’m here and is very hard to find a tenant. I can rent you the condo for min. 1 month and max. 6 years(or more).I really want to find a good and responsible tenant for it, and I hope that you can send me some personal information about yourself.The rent for whole the condo for 1 month is $1000 including all utilities(water,electricity, internet, cable, parking, airconditioning, fireplace, dishwasher, garbage) and the security deposit is 1000$ (you’ll get the deposit back at your departure-or you can use it to pay your last month of rent) and I want to receive the money monthly in my bank account. You can move in the condo in the same day when you receive the keys. The only problem is that I`m the only person who has the keys and I have nobody in United States that could show you the condo. In order to check it, see if you like it (I’m sure that you’ll love it), you need to receive the keys and the contract. I just got the same scammer – she is now going by “Jessica Anderson” and is trying to rent out a place in downtown Vancouver. Thanks for taking the time to look at my property. My name is Jessica Anderson, I’m a construction engineer, 53 years old and I’m the owner of this condo(2 bedrooms,2 bathrooms,1200 square footage). The condo is located at 819 Hamilton St, Vancouver, BC, Canada. The condo is fully furnished with all necessary amenities(exactly like in the pics),the unit is equipped with recessed lighting, central air and heat, the condo come with two parking spots,a storage unit where you can deposit my furniture (if you don’t like it and you want use your furniture) ,there is also a linen closet, and most importantly, a new front loading stacked washer and drier…Pets allowed. The area is clean, safe and beautifully.I’ve moved to United Kingdom with my job and decided to rent it because the rent is very expensive here.The price is so low because I’m here and is very hard to find a tenant.I can rent you the condo for min. 1 month and max. 6 years(or more).I really want to find a good and responsible tenant for it, and I hope that you can send me some personal information about yourself.The rent for the whole condo for 1 month is $900 including all utilities(water,electricity, internet, cable, parking , airconditioning, fireplace, dishwasher, garbage) and the security deposit is $900(you’ll get the deposit back at your departure-or you can use it to pay your last month of rent) and I want to receive the money monthly in my bank account. You can move in the condo in the same day when you receive the keys. The only problem is that I`m the only person who has the keys and I have nobody in Canada that could show you the condo. In order to check it, see if you like it(I’m sure that you’ll love it), you need to receive the keys and the contract. 5.From the moment you receive the keys the 14 days inspection period will start.I will make the transaction only in this way so if you have the money and if you want to rent my condo send me your full name, your shipping address, your phone# and I’ll start the procedure. My parents thankfully raised me to be paranoid and suspicious of anything on the internet that seems too good to be true – I decided to google her with the address provided and this popped up. I had actually already replied, but I was insisting on using an escrow service and not just a straight money transfer through eBay like she wanted to do. Best of luck to everyone else – don’t fall for her scam! Same thing in Santa Monica, her name is Lily Oscar. Thanks for taking the time to look at my property.My name is Lily Oscar,I’m 38 years old,I’m the owner of this condo(2 bedrooms,2 bathrooms,1200 square footage).I lived in this beautiful condo for over 2 years,loved every day of it.It’s located in 901 10th St, Santa Monica, CA 90403.The unit is equipped with recessed lighting, central air and heat, the condo come with two parking spots,a storage unit where you can deposit my furniture (if you don’t like it and you want use your furniture),there is also a linen closet, and most importantly, a new front loading stacked washer and drier.Pets allowed.I’ve moved to United Kingdom with my job and decided to rent it because the rent is very expensive here.The price is so low because I’m here and is very hard to find a tenant.I can rent you the condo for min. 1 month and max. 6 years(or more).I really want to find a good and responsible tenant for it, and I hope that you can send me some personal information about yourself.The rent for whole the condo for 1 month is $1300 including all utilities(water,electricity, internet, cable, parking , airconditioning, fireplace, dishwasher, garbage) and the security deposit is 1300$(you’ll get the deposit back at your departure-or you can use it to pay your last month of rent) and I want to receive the money monthly in my bank account. You can move in the condo in the same day when you receive the keys. The only problem is that I`m the only person who has the keys and I have nobody in United States that could show you the condo. In order to check it, see if you like it(I’m sure that you’ll love it), you need to receive the keys and the contract. I got the same in Minneapolis on craigslist. her name is Jessica Anderson when she emailed me. I seriously can’t believe people fall for this stuff. Its so obvious. Thanks for taking the time to look at my property. My name is Jessica Anderson, I’m a construction engineer, 53 years old and I’m the owner of this condo(2 bedrooms,2 bathrooms,1100 square footage).I lived in this beautiful condo for over 5 years,loved every day of it. It’s located in 4 South Portland Avenue, Brooklyn NY 11217. The prime location can’t be beat and the garaged parking is an amenity sure to be appreciated by anyone. The condo is fully furnished with all necessary amenities(exactly like in the pics),the unit is equipped with recessed lighting, central air and heat, the condo come with two parking spots,a storage unit where you can deposit my furniture (if you don’t like it and you want use your furniture),there is also a linen closet, and most importantly, a new front loading stacked washer and drier.Pets allowed.I’ve moved to United Kingdom with my job and decided to rent it because the rent is very expensive here.The price is so low because I’m here and is very hard to find a tenant.I can rent you the condo for min. 1 month and max. 6 years(or more).I really want to find a good and responsible tenant for it, and I hope that you can send me some personal information about yourself.The rent for the whole condo for 1 month is $850 including all utilities(water,electricity, internet, cable, parking , airconditioning, fireplace, dishwasher, garbage) and the security deposit is 850$(you’ll get the deposit back at your departure-or you can use it to pay your last month of rent) and I want to receive the money monthly in my bank account. You can move in the condo in the same day when you receive the keys. The only problem is that I`m the only person who has the keys and I have nobody in United States that could show you the condo. In order to check it, see if you like it(I’m sure that you’ll love it), you need to receive the keys and the contract. LILY OSCAR is the new Judith Gill. I contacted ‘Judith Gill’ almost 1 year ago and today my friend emailed me this reponse she got from a ‘Lily Oscar’. Almost identical email to the response I received from Judith Gill, except now she is leaving out her occupation as a construction engineer. These people have done this to so many people all over the country. Why haven’t they gotten caught yet?! Thanks for taking the time to look at my property.My name is Lily Oscar,I’m 38 years old,I’m the owner of this condo(2 bedrooms,2 bathrooms,1100 square footage).I lived in this beautiful condo for over 2 years, loved every day of it.It’s located in 225 Queen St, Honolulu, HI 96822.The unit is equipped with recessed lighting, central air and heat, the condo come with two parking spots,a storage unit where you can deposit my furniture (if you don’t like it and you want use your furniture),there is also a linen closet, and most importantly, a new front loading stacked washer and drier.Pets allowed.I’ve moved to United Kingdom with my job and decided to rent it because the rent is very expensive here.The price is so low because I’m here and is very hard to find a tenant.I can rent you the condo for min. 1 month and max. 6 years(or more).I really want to find a good and responsible tenant for it, and I hope that you can send me some personal information about yourself.The rent for whole the condo for 1 month is $1000 including all utilities(water,electricity, internet, cable, parking , airconditioning, fireplace, dishwasher, garbage) and the security deposit is $1000 (you’ll get the deposit back at your departure-or you can use it to pay your last month of rent) and I want to receive the money monthly in my bank account. You can move in the condo in the same day when you receive the keys. The only problem is that I`m the only person who has the keys and I have nobody in United States that could show you the condo. In order to check it, see if you like it(I’m sure that you’ll love it), you need to receive the keys and the contract. “Her” new name is Rebecca Grant and “she’s” in Long Beach, CA. Thanks for taking the time to look at my property. My name is Rebecca Grant, 53 years old and I’m the owner of this condo. I lived in it for over 2 years, loved every day of it. It’s located at 400 West Ocean Boulevard, it has 2 bedrooms, 2 bathrooms, 1246 square footage, at few minutes distance to beach, close to stores, main road. The apt. is fully furnished with all necessary amenities(exactly like in the pics), the unit is equipped with recessed lighting, central air and heat, it comes with two parking spots, a storage unit where you can deposit my furniture (if you don’t like it and you want use your furniture), there is also a linen closet, and most importantly, a new front loading stacked washer and drier. Pets are allowed. I’ve moved to United Kingdom with my job and decided to rent it because the rent is very expensive here. The price is so low because I’m here and is very hard to find a tenant. I can rent you the apt. for min 1 month max. 6 years. I really want to find a good and responsible tenant for it, and I hope that you can send me some personal information about yourself. The rent for the whole condo for 1 month is $900 including all utilities(water,electricity, internet, cable, parking , airconditioning, fireplace, dishwasher, garbage) and the security deposit is $900(you’ll get the deposit back at your departure- or you can use it to pay your last month of rent) and I want to receive the money monthly in my bank account. You can move in the condo in the same day when you receive the keys. The only problem is that I`m the only person who has the keys and I have nobody in United States that could show you the condo. In order to check it, see if you like it(I’m sure that you’ll love it), you need to receive the keys and the contract. decide if you keep the condo or not.After the inspection you will contact them and tell your decision: TAKE THE CONDO or NOT TAKE THE CONDO! In case you’ll take it you’ll have to send them a copy of the contract signed by you and they will release the money to me, if not you’ll have to send them the contract unsigned and they will refund your money($1800), the contract and the keys will be shipped back at my expenses! I will pay the shipping and you’ll have to pay the money transfer fee for the refundable deposit. Happens in philly as well! word for word!!! Thanks for taking the time to look at my property.My name is Lily Oscar, 38 years old and I’m the owner of this condo(2 bedrooms,2 bathrooms,1100 square footage).I lived in this beautiful condo for over 5 years,loved every day of it.The prime location can’t be beat, and the garaged parking is an amenity sure to be appreciated by anyone who has lived in a big city. The condo is located at 1901 Walnut St,Rittenhouse Square Plaza-5 min from metro,between Sansom St and Chancelor St .The condo is fully furnished with all necessary amenities(exactly like in the pics),the unit is equipped with recessed lighting, central air and heat, the condo come with two parking spots,a storage unit where you can deposit my furniture (if you don’t like it and you want use your furniture) ,there is also a linen closet, and most importantly, a new front loading stacked washer and drier…Pets allowed. The kitchen eating area is a large piece of granite that serves as counter space in the kitchen, and as the table in the Living Room side. The counter seats 4 comfortably. The entertainment center is a beautiful credenza that is topped with a brand new 55′ High-Definition lcd tv. The stereo acts as the 5 speaker surround sound for the tv, the radio and cd player. The stereo also is a dvd player and is capable of having an i pod plugged right into a usb port.The Master Bedroom is large with high ceilings, has two windows, a walk-in closet and it has it’s own bathroom. The room has a large, very comfortable Cali-King bed. There are several dressers with an ample amount of drawers. The room also has a desk with several drawers and a file cabinet. The walls are decorated with nice artwork and floating shelves. The bathroom has a large, tiled shower stall behind a glass door. The vanity is covered with a beautiful piece of granite and between the vanity, shelves and medicine cabinet, there is plenty of space for toiletries.The Guest Bedroom is actually larger than the Master. It has high ceilings, two large closets and a dresser with two matching nightstands. There is one window, a coffee table and a brand new chair and ottoman. Just outside the door two the bedroom is the Guest Bathroom. The guest bath features a large jacuzzi tub and shower. The vanity is large and is covered with granite. There is also a linen closet, and most importantly, a new front loading stacked washer and drier. The area is clean, safe and beautifully.I’ve moved to United Kingdom with my job and decided to rent it because the rent is very expensive here.The price is so low because I’m here and is very hard to find a tenant.I can rent you the condo for min. 1 month and max. 6 years(or more).I really want to find a good and responsible tenant for it, and I hope that you can send me some personal information about yourself.The rent for the whole condo for 1 month is $900 including all utilities(water,electricity, internet, cable, parking , airconditioning, fireplace, dishwasher, garbage) and the security deposit is $900(you’ll get the deposit back at your departure-or you can use it to pay your last month of rent) and I want to receive the money monthly in my bank account. You can move in the condo in the same day when you receive the keys. The only problem is that I`m the only person who has the keys and I have nobody in United States that could show you the condo. In order to check it, see if you like it(I’m sure that you’ll love it), you need to receive the keys and the contract. decide if you keep the condo or not.After the inspection you will contact them and tell your decision: TAKE THE CONDO or NOT TAKE THE CONDO! In case you’ll take it you’ll have to send them a copy of the contract signed by you and they will release the money to me, if not you’ll have to send them the contract unsigned and they will refund your money(1800$), the contract and the keys will be shipped back at my expenses! I will pay the shipping and you’ll have to pay the money transfer fee for the refundable deposit. youd think they would try to get creative at some point and not use the same thing!! beware! her name was jessica anderson, a 43 yr old construction engineer who had a beautiful apartment for about 1/2 the going rate with everything included. looked like the find of a lifetime… she said she had to move to the UK for work last year, and its just really expensive over there, so she had to rent her place out… dirty whore. she had me going for a while and would not contact me via phone/skype or anything except email. she kept assuring me it was a really nice condo and she loved it for the 5 years she lived there…the building will be 5 years old next year come to find out. she finally gave me a phone number to call, but said she was in a shady area and might not get service. i googled the number and found this site as it has already been used to scam someone else on here. not just a dirty whore, but a dumb dirty whore. using the same phone number already published in a site telling people to watch out for it?? come one! be creative scammers!! Now, finding this, it’s apparent to me… I received the SAME EXACT email but this time it’s from Jessica email renting an apartment in Northern VA… I sent her a message back laughing when she mentioned the “secure eBay Company” to send $2200 to… haha… these people are ridiculous… no shame! I hope no one falls for it or at least takes it far enough to catch them! Just found this same add scheme running in craigslist Santa Monica………. Thanks for taking the time to look at my property.My name is Lily Oscar,I’m 38 years old,I’m the owner of this condo(2 bedrooms,2 bathrooms,1200 square footage).I lived in this beautiful condo for over 2 years,loved every day of it.It’s located in 902 10th St, Santa Monica, CA 90403.The unit is equipped with recessed lighting, central air and heat, the condo come with two parking spots,a storage unit where you can deposit my furniture (if you don’t like it and you want use your furniture),there is also a linen closet, and most importantly, a new front loading stacked washer and drier.Pets allowed.I’ve moved to United Kingdom with my job and decided to rent it because the rent is very expensive here.The price is so low because I’m here and is very hard to find a tenant.I can rent you the condo for min. 1 month and max. 6 years(or more).I really want to find a good and responsible tenant for it, and I hope that you can send me some personal information about yourself.The rent for whole the condo for 1 month is $1300 including all utilities(water,electricity, internet, cable, parking , airconditioning, fireplace, dishwasher, garbage) and the security deposit is 1300$(you’ll get the deposit back at your departure-or you can use it to pay your last month of rent) and I want to receive the money monthly in my bank account. You can move in the condo in the same day when you receive the keys. The only problem is that I`m the only person who has the keys and I have nobody in United States that could show you the condo. In order to check it, see if you like it(I’m sure that you’ll love it), you need to receive the keys and the contract. She’s running around Boston, MA as well. This time her name is Jessica Anderson. Best yet, I live near the address she gives so I decided to check it out. Oddly enough, the house’s floor plan matches the pictures that are supplied in the initial email. In fact, it was closed up and the windows were sealed with the plastic that we put on windows in the winter to avoid heat loss. It obviously hasn’t been used in a while. Thanks for taking the time to look at my property. My name is Jessica Anderson, I’m 43 years old, I’m a construction engineer and I’m the owner of this condo (2 bedrooms,2 bathrooms,1200 square footage). It’s located in 57 Boylston St, Jamaica Plain, MA 02130. The unit is equipped with recessed lighting, central air and heat, the condo come with two parking spots,a storage unit where you can deposit my furniture (if you don’t like it and you want use your furniture),there is also a linen closet, and most importantly, a new front loading stacked washer and drier. Pets allowed. I’ve moved to United Kingdom with my job (i am a construction engineer) and decided to rent it because the rent is very expensive here. The price is so low because I’m here and is very hard to find a tenant. I can rent you the condo for min. 1 month and max. 6 years(or more).I really want to find a good and responsible tenant for it, and I hope that you can send me some personal information about yourself.The rent for whole the condo for 1 month is $850 including all utilities(water,electricity, internet, cable, parking, airconditioning, fireplace, dishwasher, garbage) and the security deposit is 850$ (you’ll get the deposit back at your departure-or you can use it to pay your last month of rent) and I want to receive the money monthly in my bank account. You can move in the condo in the same day when you receive the keys. The only problem is that I`m the only person who has the keys and I have nobody in United States that could show you the condo. In order to check it, see if you like it (I’m sure that you’ll love it), you need to receive the keys and the contract. decide if you keep the condo or not.After the inspection you will contact them and tell your decision: TAKE THE CONDO or NOT TAKE THE CONDO !In case you’ll take it you’ll have to send them a copy of the contract signed by you and they will release the money to me, if not you’ll have to send them the contract unsigned and they will refund your money(1700$), the contract and the keys will be shipped back at my expenses! I will pay the shipping and you’ll have to pay the money transfer fee for the refundable deposit. I got the exact same two emails above (regarding a condo she supposedly owns in Boston). She is now going by the name “Rebecca Grant”. Glad I found this thread, although it seemed pretty sketchy from the start. Thanks for taking the time to look at my property.My name is Rebecca Grant, 52 years old and I’m the owner of this condo(2 bedrooms,2 bathrooms,1100 square footage).I lived in this beautiful condo for over 5 years,loved every day of it.The prime location can’t be beat, and the garaged parking is an amenity sure to be appreciated by anyone who has lived in a big city. Harcourt Street is located just off the busy streets of Newbury and Boylston. You have the convenience of being just two blocks away, without the inconvenience of double parked cars and countless pedestrians. Harcourt is a small, quaint neighborhood street nestled behind the Copley Square Marriott and the Colonade hotel. In less than a block you are at the entrance of the Prudential Center and Copley Square Mall. One more block and you are at Newbury and Boylston Streets. With countless retail from big names to small boutiques, the Back Bay has it all. The cities finest restaurants are within walking distance, Fenway Park is a mile away, and the entrance to the Mass Pike and I-93 are within blocks of this condo.The condo is fully furnished with all necessary amenities(exactly like in the pics),the unit is equipped with recessed lighting, central air and heat, the condo come with two parking spots,a storage unit where you can deposit my furniture (if you don’t like it and you want use your furniture) ,there is also a linen closet, and most importantly, a new front loading stacked washer and drier…Pets allowed. The kitchen eating area is a large piece of granite that serves as counter space in the kitchen, and as the table in the Living Room side. The counter seats 4 comfortably. The entertainment center is a beautiful credenza that is topped with a brand new 55′ High-Definition lcd tv. The stereo acts as the 5 speaker surround sound for the tv, the radio and cd player. The stereo also is a dvd player and is capable of having an i pod plugged right into a usb port.The Master Bedroom is large with high ceilings, has two windows, a walk-in closet and it has it’s own bathroom. The room has a large, very comfortable Cali-King bed. There are several dressers with an ample amount of drawers. The room also has a desk with several drawers and a file cabinet. The walls are decorated with nice artwork and floating shelves. The bathroom has a large, tiled shower stall behind a glass door. The vanity is covered with a beautiful piece of granite and between the vanity, shelves and medicine cabinet, there is plenty of space for toiletries.The Guest Bedroom is actually larger than the Master. It has high ceilings, two large closets and a dresser with two matching nightstands. There is one window, a coffee table and a brand new chair and ottoman. Just outside the door two the bedroom is the Guest Bathroom. The guest bath features a large jacuzzi tub and shower. The vanity is large and is covered with granite. There is also a linen closet, and most importantly, a new front loading stacked washer and drier.The entire unit is 1246 square feet. It has high ceilings, hardwood floors and by being a corner unit, it has 10 large windows. The space below is a commercial unit that has several offices for financial planners and a internet software company. This is great because after 5pm and on weekends, there is nobody below my unit.The building is only 5 stories high. The condominium is two buildings connected by a glass atrium in the middle. There is an elevator and staircase that goes from the lobby, to the garage, and all the way to the top. The elevator takes you to the garage, where my unit has two deeded parking spaces and some shelves and closet space that can be used as storage and can be locked (the condo also come with a storage unit so you’ll have space to deposit all my furniture). The building is located on the boarder of the Back Bay and the South End. As I mentioned, the shops and restaurants are just a block away. To the right of the condo is the South West corridor. This corridor goes from the Back Bay T-station on Dartmouth Street, all the way to Mass Ave. This corridor is lined with parks, a children’s playground, a dog park, tennis and basketball courts. It’s a beautiful place to walk the dog, take a jog, or take the kids to the swings. The area is clean, safe and beautifully manicured with trees and flowers.I’ve moved to United Kingdom with my job and decided to rent it because the rent is very expensive here.The price is so low because I’m here and is very hard to find a tenant.I can rent you the condo for min. 1 month and max. 6 years(or more).I really want to find a good and responsible tenant for it, and I hope that you can send me some personal information about yourself.The rent for the whole condo for 1 month is $900 including all utilities(water,electricity, internet, cable, parking , airconditioning, fireplace, dishwasher, garbage) and the security deposit is $900(you’ll get the deposit back at your departure-or you can use it to pay your last month of rent) and I want to receive the money monthly in my bank account. You can move in the condo in the same day when you receive the keys. The only problem is that I`m the only person who has the keys and I have nobody in United States that could show you the condo. In order to check it, see if you like it(I’m sure that you’ll love it), you need to receive the keys and the contract. It looks like another scam has cropped up in Australia. Someone named “Mary Cavanaugh” (mary.cavanaugh34@gmail.com) posted an apartment on rent.com.au for 127 Kent Street Street. The apartment and rent were too good to be true. She e-mailed and said there is a “RE/MAX International Rental Service” to use and received e-mails that appeared to be from “ReMax.com” with the subject line: Re/Max Transaction #453561. There is even a link to a fake web site that has the RE/MAX logo on it and everything. I confirmed this with RE/MAX – this is a scam. Beware! Do not send money! Now she has changed her name to Jessica Anderson on a Honolulu rental. Her occupation is the same. We got onto her/him as well! The saying is true: When it seems to good to be true, it usually is. I reported her/him to Craigslist spam. She’s working in LA, too. Only this time, she’s Jennifer Aston. I knew it was fishy from the beginning. You’d think they’d at least write a new story about the whole thing. Sheesh. She now goes by Jennifer Aston, and is pitching her scam through Craigslist for an apartment in Santa Monica. She’s still using the same speech. This site helped me from making the biggest mistake ever. The apartment was to good to be true. Now the listing’s back on Craiglist under 224 Hudson Street, Hoboken, NJ – Sender’s name Jennifer Aniston! Yep, now she’s also Jennifer Aston too. ugh thank god for this post – her name now is Jennifer Aston! what a scam! Thanks so much!! “She” is in Chicago now. South Loop to be exact. Her name is “Antonia Parker” and has the EXACT same email that you are all posting. Except she isn’t a construction worker anymore. Stunning apartment in an absolutely prime location. Too good to be true, I thought – and you have all proved me right! Thanks so much for having this thread and this article. It makes me happy to see justice prevail! This scam is still going today! I went through the emails, but when “she” didn’t reply to all my specific questions, I started looking and found this article. Thank God! Special thanks to everyone here, she/ he/ it is now Sara Jonathan in the washington, maryland area. Same exact emails to a T! Before going further with anything I must tell you that for payments I will use the eBay Company, they will secure the transaction of payments. I will open a CASE ID# at eBay Company for this transaction and I will give them your full name, shipping info, phone# and indicate you as my tenant. After that, they will contact you with the payment details, and they will ask you to send them a refundable deposit, $1,800.00 in 24 hours(the money will be for the first month of rent + the security deposit). After they receive your deposit, they will notify me immediately to start the shipping of the keys and the contract. You will receive a tracking number in max 24 hours after they receive your deposit. The keys will reach to you in 3-4 days. After you’ll receive the keys and the contract, the 14 days of inspection period will start( you’ll have 14 days to see the condo, read the contract, decide if you keep the condo or not)……. There is a special place for people like this! I went a bit further into the process than most people have and this is what I got. Thanks for taking the time to look at my property.My name is Kayla Stephens ,I’m 39 years old,I’m the owner of this condo(2 bedrooms,2 bathrooms,1300 square footage).It’s located in 55 W Church St, Orlando, FL 32801.The unit is equipped with recessed lighting, central air and heat, the condo come with two parking spots,a storage unit where you can deposit my furniture (if you don’t like it and you want use your furniture),there is also a linen closet, and most importantly, a new front loading stacked washer and drier.Pets allowed.I’ve moved to United Kingdom with my job and decided to rent it because the rent is very expensive here.The price is so low because I’m here and is very hard to find a tenant.I can rent you the condo for min. 1 month and max. 6 years(or more).I really want to find a good and responsible tenant for it, and I hope that you can send me some personal information about yourself.The rent for whole the condo for 1 month is $700.00 including all utilities(water,electricity, internet, cable, parking , airconditioning, fireplace, dishwasher, garbage) and the security deposit is $700.00 (you’ll get the deposit back at your departure-or you can use it to pay your last month of rent) and I want to receive the money monthly in my bank account. You can move in the condo in the same day when you receive the keys. The only problem is that I`m the only person who has the keys and I have nobody in United States that could show you the condo. In order to check it, see if you like it(I’m sure that you’ll love it), you need to receive the keys and the contract. Before going further with anything I must tell you that for payments I will use the eBay Company, they will secure the transaction of payments. I will open a CASE ID# at eBay Company for this transaction and I will give them your full name, shipping info, phone# and indicate you as my tenant. After that, they will contact you with the payment details, and they will ask you to send them a refundable deposit, $1,400.00 in 24 hours(the money will be for the first month of rent + the security deposit). After they receive your deposit, they will notify me immediately to start the shipping of the keys and the contract. You will receive a tracking number in max 24 hours after they receive your deposit. The keys will reach to you in 3-4 days. After you’ll receive the keys and the contract, the 14 days of inspection period will start( you’ll have 14 days to see the condo, read the contract, decide if you keep the condo or not).After the inspection you will contact them and tell your decision: TAKE THE CONDO or NOT TAKE THE CONDO! In case you’ll take it you’ll have to send them a copy of the contract signed by you and they will release the money to me, if not you’ll have to send them the contract unsigned and they will refund your money($1,400.00), the contract and the keys will be shipped back at my expenses! I will pay the shipping and you’ll have to pay the money transfer fee for the refundable deposit. 4. After they receive your deposit, they will notify me immediately to start the shipping, and you will receive a tracking number in max 24 hours after they receive your deposit. 1. I filled my phone number on the transfer form and I can tell you that I’ve been called by them every day for commercial purposes until I had to change my phone number.After that I filled a WRONG phone # on the form and resolved this issue(I changed my last digit of my phone number). 2. It’s better to tell to the Western agent that you send the money to a relative so the transfer will be approved in 15 min and you’ll have to pay 90-110$-Western fee(the transfers for friends or relatives are approved in 15 min, it’s cheaper…). If you tell them that you are sending the money to a commercial agent the transfer can take up to 20 hours until will be approved and maybe you’ll be unable to complete the transaction in time, they will also charge you with an extra fee of 70-80$( totally about 190$). CASE ID NUMBER UNMVUKNP308 55 W Church Street, Orlando, FL 32801, United States. eBay reduces the risks associated with Internet transactions by acting as a licensed neutral third party and insure the tenant funds during the transaction. 2.Send the payment using the Agent’s name and address (found below) as Payment Details. The amount sent to be received. 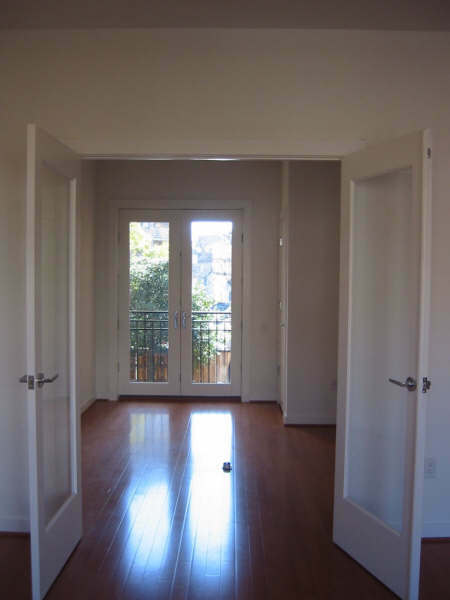 Thanks for taking the time to look at my property.My name is Melanie Wilkinson.I’m 39 years old,I’m the owner of this condo(2 bedrooms,2 bathrooms,1980 square footage).It’s located in 1760 Pacific Ave, San Francisco, CA 94109.The unit is equipped with recessed lighting, central air and heat, the condo come with two parking spots,a storage unit where you can deposit my furniture (if you don’t like it and you want use your furniture),there is also a linen closet, and most importantly, a new front loading stacked washer and drier.Pets allowed.I’ve moved to United Kingdom with my job and decided to rent it because the rent is very expensive here.The price is so low because I’m here and is very hard to find a tenant.I can rent you the condo for min. 1 month and max. 6 years(or more).I really want to find a good and responsible tenant for it, and I hope that you can send me some personal information about yourself.The rent for whole the condo for 1 month is $2400.00 including all utilities(water,electricity, internet, cable, parking , air conditioning, fireplace, dishwasher, garbage) and the security deposit is $2400.00 (you’ll get the deposit back at your departure-or you can use it to pay your last month of rent) and I want to receive the money monthly in my bank account. You can move in the condo in the same day when you receive the keys. The only problem is that I`m the only person who has the keys and I have nobody in United States that could show you the condo. In order to check it, see if you like it(I’m sure that you’ll love it), you need to receive the keys and the contract. Before going further with anything I must tell you that for payments I will use the eBay Company, they will secure the transaction of payments. I will open a CASE ID# at eBay Company for this transaction and I will give them your full name, shipping info, phone# and indicate you as my tenant. After that, they will contact you with the payment details, and they will ask you to send them a refundable deposit, $4,800.00 in 24 hours(the money will be for the first month of rent + the security deposit). After they receive your deposit, they will notify me immediately to start the shipping of the keys and the contract. You will receive a tracking number in max 24 hours after they receive your deposit. The keys will reach to you in 3-4 days. After you’ll receive the keys and the contract, the 14 days of inspection period will start( you’ll have 14 days to see the condo, read the contract, decide if you keep the condo or not).After the inspection you will contact them and tell your decision: TAKE THE CONDO or NOT TAKE THE CONDO! In case you’ll take it you’ll have to send them a copy of the contract signed by you and they will release the money to me, if not you’ll have to send them the contract unsigned and they will refund your money($4,800.00), the contract and the keys will be shipped back at my expenses! I will pay the shipping. Scam in San Francisco…im looking at the previous posts on this blog and here we are 2 years later and this person is still scamming! her name is Kayla Stephens and she sent the same email about a too good to be true apartment in sf! Hi there everyone, the once Jessica Anderson is now TIFFANY ROSE. She sent me the EXACT same info, word for word! Hopefully others will come across this blog as well and not be sucked into her scam! Thanks for taking the time to look at my property.My name is Melanie Wilkinson,I’m 39 years old,I’m the owner of this condo(2 bedrooms,2 bathrooms,1105 square footage).It’s located in 616 Preserve Pkwy. Hoover, Al. 35226 .The unit is equipped with recessed lighting, central air and heat, the condo come with two parking spots,a storage unit where you can deposit my furniture (if you don’t like it and you want use your furniture),there is also a linen closet, and most importantly, a new front loading stacked washer and drier.Pets allowed.I’ve moved to United Kingdom with my job and decided to rent it because the rent is very expensive here.The price is so low because I’m here and is very hard to find a tenant.I can rent you the condo for min. 1 month and max. 6 years(or more).I really want to find a good and responsible tenant for it, and I hope that you can send me some personal information about yourself.The rent for whole the condo for 1 month is $500.00 including all utilities(water,electricity, internet, cable, parking , air conditioning, fireplace, dishwasher, garbage) and the security deposit is $500.00 (you’ll get the deposit back at your departure-or you can use it to pay your last month of rent) and I want to receive the money monthly in my bank account. You can move in the condo in the same day when you receive the keys. The only problem is that I`m the only person who has the keys and I have nobody in United States that could show you the condo. In order to check it, see if you like it(I’m sure that you’ll love it), you need to receive the keys and the contract. Before going further with anything I must tell you that for payments I will use the eBay Company, they will secure the transaction of payments. I will open a CASE ID# at eBay Company for this transaction and I will give them your full name, shipping info, phone# and indicate you as my tenant. After that, they will contact you with the payment details, and they will ask you to send them a refundable deposit, $1,000.00 in 24 hours(the money will be for the first month of rent + the security deposit). After they receive your deposit, they will notify me immediately to start the shipping of the keys and the contract. You will receive a tracking number in max 24 hours after they receive your deposit. The keys will reach to you in 3-4 days. After you’ll receive the keys and the contract, the 14 days of inspection period will start( you’ll have 14 days to see the condo, read the contract, decide if you keep the condo or not).After the inspection you will contact them and tell your decision: TAKE THE CONDO or NOT TAKE THE CONDO! In case you’ll take it you’ll have to send them a copy of the contract signed by you and they will release the money to me, if not you’ll have to send them the contract unsigned and they will refund your money($1,000.00), the contract and the keys will be shipped back at my expenses! I will pay the shipping and you’ll have to pay the money transfer fee for the refundable deposit. Hey! She’s in Minneapolis now…thankfully this post caught my eye, I was almost fooled myself! Looks like she is now…Melinda Johnson. Geeez. Thanks for taking the time to look at my property.My name is Melinda Johnson ,I’m 39 years old,I’m the owner of this condo(1 bedrooms,1 bathrooms,945 square footage).It’s located in 929 Portland Ave S, Minneapolis, MN, 55404.The unit is equipped with recessed lighting, central air and heat, the condo come with two parking spots,a storage unit where you can deposit my furniture (if you don’t like it and you want use your furniture),there is also a linen closet, and most importantly, a new front loading stacked washer and drier.Pets allowed.I’ve moved to United Kingdom with my job and decided to rent it because the rent is very expensive here.The price is so low because I’m here and is very hard to find a tenant.I can rent you the condo for min. 1 month and max. 6 years(or more).I really want to find a good and responsible tenant for it, and I hope that you can send me some personal information about yourself.The rent for whole the condo for 1 month is $500.00 including all utilities(water,electricity, internet, cable, parking , air conditioning, fireplace, dishwasher, garbage) and the security deposit is $500.00 (you’ll get the deposit back at your departure-or you can use it to pay your last month of rent) and I want to receive the money monthly in my bank account. You can move in the condo in the same day when you receive the keys. The only problem is that I`m the only person who has the keys and I have nobody in United States that could show you the condo. In order to check it, see if you like it(I’m sure that you’ll love it), you need to receive the keys and the contract. Thanks for taking the time to look at my property.My name is Sarah Whitmore. I’m 39 years old,I’m the owner of this condo(2 bedrooms,2 bathrooms,1240 square footage).It’s located in 1020 North Highland Street, Arlington, VA 22201.The unit is equipped with recessed lighting, central air and heat, the condo come with two parking spots,a storage unit where you can deposit my furniture (if you don’t like it and you want use your furniture),there is also a linen closet, and most importantly, a new front loading stacked washer and drier.Pets allowed.I’ve moved to United Kingdom with my job and decided to rent it because the rent is very expensive here.The price is so low because I’m here and is very hard to find a tenant.I can rent you the condo for min. 1 month and max. 6 years(or more).I really want to find a good and responsible tenant for it, and I hope that you can send me some personal information about yourself.The rent for whole the condo for 1 month is $900.00 including all utilities(water,electricity, internet, cable, parking , air conditioning, fireplace, dishwasher, garbage) and the security deposit is $900.00 (you’ll get the deposit back at your departure-or you can use it to pay your last month of rent) and I want to receive the money monthly in my bank account. You can move in the condo in the same day when you receive the keys. The only problem is that I`m the only person who has the keys and I have nobody in United States that could show you the condo. In order to check it, see if you like it(I’m sure that you’ll love it), you need to receive the keys and the contract. Before going further with anything I must tell you that for payments I will use the eBay Company, they will secure the transaction of payments. I will open a CASE ID# at eBay Company for this transaction and I will give them your full name, shipping info, phone# and indicate you as my tenant. After that, they will contact you with the payment details, and they will ask you to send them a refundable deposit, $1,800.00 in 24 hours(the money will be for the first month of rent + the security deposit). After they receive your deposit, they will notify me immediately to start the shipping of the keys and the contract. You will receive a tracking number in max 24 hours after they receive your deposit. The keys will reach to you in 3-4 days. After you’ll receive the keys and the contract, the 14 days of inspection period will start( you’ll have 14 days to see the condo, read the contract, decide if you keep the condo or not).After the inspection you will contact them and tell your decision: TAKE THE CONDO or NOT TAKE THE CONDO! In case you’ll take it you’ll have to send them a copy of the contract signed by you and they will release the money to me, if not you’ll have to send them the contract unsigned and they will refund your money($1,800.00), the contract and the keys will be shipped back at my expenses! I will pay the shipping. This scam popped up in Alaska. She goes by Tiffany Rose on craigslist. I am so glad I came across this ! Thank you ! Thank you for the posts! Completely new name, Sarah Whitmore. I googled her name and this name is associated with the VA address but the email is dang close to the above. Obviously its the scam. Before even reading the second email I had a feeling it was a scam as the email was sent 9pm EST which makes it the middle of the night in the UK. Ha! Hopefully no one falls for this crap. Just wanted to pop this blog back up in the search engines. These scammers are alive and well after 2 years! Thanks for taking the time to look at my property.My name is Clara Palmer, I’m 39 years old, I’m the owner of this condo(1 bedrooms,1 bathrooms,720 square footage).It’s located in 3000 Vanderbilt Pl, Nashville, TN 37212.The unit is equipped with recessed lighting, central air and heat, the condo come with two parking spots,a storage unit where you can deposit my furniture (if you don’t like it and you want use your furniture), there is also a linen closet, and most importantly, a new front loading stacked washer and drier.Pets allowed.I’ve moved to United Kingdom with my job and decided to rent it because the rent is very expensive here.The price is so low because I’m here and is very hard to find a tenant.I can rent you the condo for min. 1 month and max. 6 years(or more).I really want to find a good and responsible tenant for it, and I hope that you can send me some personal information about yourself.The rent for whole the condo for 1 month is $450.00 including all utilities(water, electricity, internet, cable, parking , air conditioning, fireplace, dishwasher, garbage) and the security deposit is $450.00 (you’ll get the deposit back at your departure-or you can use it to pay your last month of rent) and I want to receive the money monthly in my bank account. You can move in the condo in the same day when you receive the keys. The only problem is that I`m the only person who has the keys and I have nobody in United States that could show you the condo. In order to check it, see if you like it(I’m sure that you’ll love it), you need to receive the keys and the contract. Before going further with anything I must tell you that for payments I will use the eBay Company, they will secure the transaction of payments. I will open a CASE ID# at eBay Company for this transaction and I will give them your full name, shipping info, phone# and indicate you as my tenant. After that, they will contact you with the payment details, and they will ask you to send them a refundable deposit, $900.00 in 24 hours(the money will be for the first month of rent + the security deposit). After they receive your deposit, they will notify me immediately to start the shipping of the keys and the contract. You will receive a tracking number in max 24 hours after they receive your deposit. The keys will reach to you in 3-4 days. After you’ll receive the keys and the contract, the 14 days of inspection period will start( you’ll have 14 days to see the condo, read the contract, decide if you keep the condo or not).After the inspection you will contact them and tell your decision: TAKE THE CONDO or NOT TAKE THE CONDO! In case you’ll take it you’ll have to send them a copy of the contract signed by you and they will release the money to me, if not you’ll have to send them the contract unsigned and they will refund your money($900.00), the contract and the keys will be shipped back at my expenses! I will pay the shipping and you’ll have to pay the money transfer fee for the refundable deposit.